Intense weight training may be necessary if you are training for an athletic event or have a personal goal of optimal fitness that you are trying to reach. While you may be focusing on your workout exercises and sets, also closely monitor your diet if you are feeling sick after weight lifting. The two most common causes of feeling sick after weight lifting are dehydration and low blood sugar or hypoglycemia. 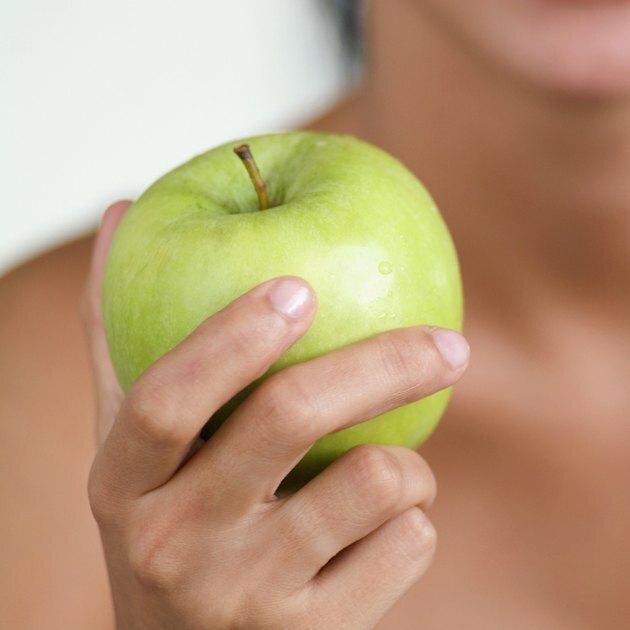 Therefore, make the necessary dietary changes to avoid feeling sick after your workouts. Drink adequate amounts of water during your intense weight lifting workout to stop feeling sick. During your intense workout, you will sweat, which may cause dehydration. Drink 1 to 3 cups of water 15 to 20 minutes before exercise. During exercise, you should continue to drink fluids until you are finished with your activity, recommends the American Council on Exercise. Include complex carbohydrates in your diet to stop feeling sick after weight lifting. 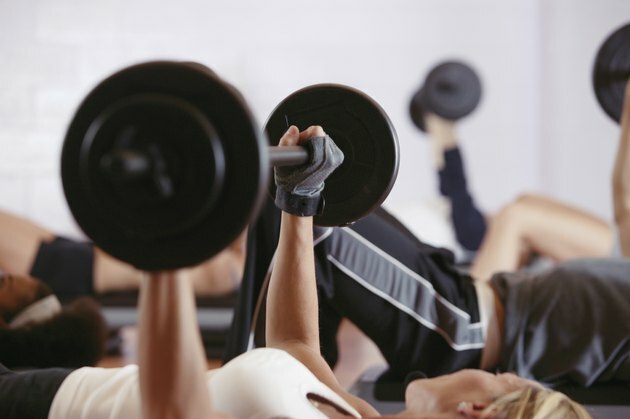 Low blood sugar levels, or hypoglycemia, is a common cause of feeling sick after weight lifting. Complex carbohydrates provide a steady release of glucose into your bloodstream to keep your blood glucose levels within healthy ranges so you will not feel sick. Eat a meal rich in complex carbohydrates 45 minutes to 1 hour before you workout to prevent hypoglycemia. You may drink a sports drink with carbohydrates during your workout to prevent hypoglycemia. 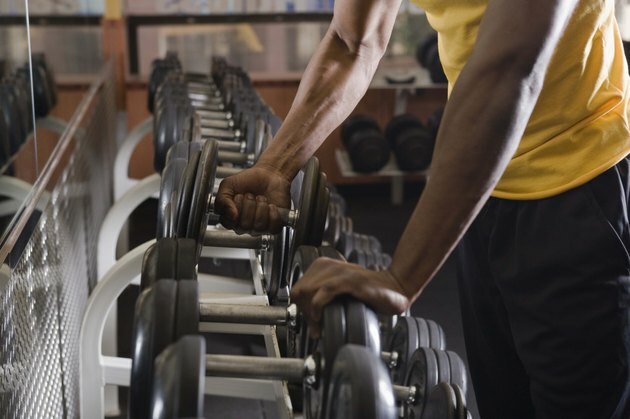 Avoid increasing the intensity of your weight lifting regimen too quickly. Your body must adapt over time to the strain you are placing on it. Increase the intensity of your workout gradually over several days to avoid pushing yourself to the point where you feel sick after weight lifting. Always lift weight with a spotter to avoid injury. See your doctor if dietary and routine changes do not improve your post-workout symptoms. How Long After Eating Should You Weight Train? Can You Stretch or Do Exercise After You Eat?